Metropolitan Window Cleaning – Rochesters Window Cleaning Experts! 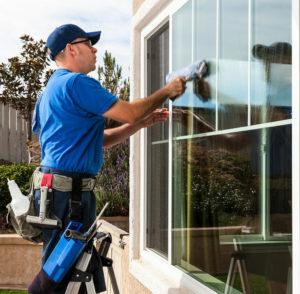 Metropolitan Window Cleaning utilizes a five-step window washing process. We use a mild, safe, non-toxic solution that is safe for the environment. 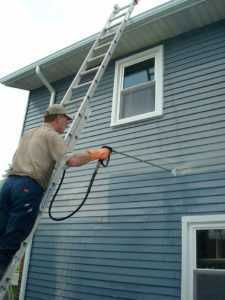 Your home windows are cleaned safely through the proper use of ladders and poles using streak free pure water. From residential window cleaning to high-rise window cleaning, we would love the opportunity to clean your glass! Yes, we do windows! And driveways, sidewalks, decks and more. There are two main types of cleaning: “Soft-washing” and “Pressure Cleaning”. Soft-washing is the only safe way to clean the exterior of a house effectively without causing damage. Our cleaning chemicals are applied at a low pressure, killing the mold and mildew that accumulates so quickly in the Rochester area. We follow with a thorough rinse, leaving your home fresh and clean. Gutters are a critical component of your home, keeping water away from the foundation. Over the years and throughout the seasons, gutter build-up can cause irreparable damage to gutters systems and your home. 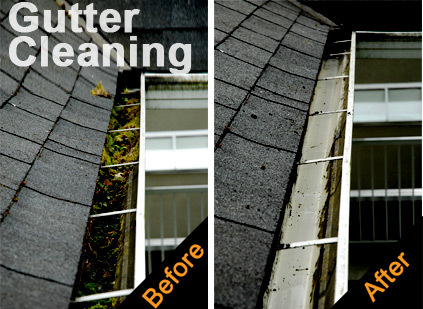 Gutter maintenance is essential in preventing damage to your property.